There are many devices that you can buy to help you understand and research the weather. A weather station is among the top of these devices. Weather stations provide information about a particular place or geographic region. Specifically, they help to identify the weather patterns, current conditions, and forecast where the weather will be heading. Home and research weather stations are purchasable. But, if they are the wrong type or the wrong style, they can provide very inaccurate information. As such, it is important to understand the many factors and details to consider when buying a weather station before you go out and buy. The following is a guide to the things to consider when purchasing and also the mistakes and concerns to avoid. The Accuracy: One of the most—if not the most important factors to consider when buying any device is the accuracy. The weather station is no exception. You do not want to purchase an instrument that has inaccurate data or provides you with a low quality information stream. There are many devices on the market and some of them come at a lower price point than others. But, if the information that is being provided is inaccurate, it is not worth even a few dollars. Therefore, be sure to consider the accuracy of the device and the information being provide before purchasing. The Range: A weather station will most likely be a part from the instrument that is gathering said information. As such, the transmission of data will have to go across a distance or range. Consider, then, how far you will be placing an instrument from the station and make sure that the station can send data that far. If not, it may be better to get one with more strength and distance. Also, if you have obstacles that may get in the way, consider that as well and make sure the device can go through or around said obstructions. The Sensors: Another thing that you will want to consider when buying a weather station is the type of sensors that are used. The most common sensors that should be equipped on all devices include a thermometer and an anemometer. They should also all come equipped with a hygrometer as well. More advanced stations, however, will have more options. Some will report the wind speed and direction. Others will focus on rain fall. Still, others will provide heat index information as well. Consider what you want and what you will use it for before purchasing. The Elevation: Another thing to consider when buying is the elevation at which you will use this device. Certain weather stations do not function well in higher elevations or in highly mountainous regions. The device should highlight and share where it works well and where it doesn’t so that you can make an informed choice. Consider where the station will be placed and how far above sea level it will be before purchasing. The Display: You should not have to search long and hard for the information that a device reports. Instead, it should display readily and with ease. Some devices are better at doing this than others. While there are many weather stations that display information accurately and in an unobstructed way, others can be sloppy and unorganized. Depending on your price point and what you will be using the weather station for, consider the device’s display when choosing an option that is right for you and your lifestyle. Speed: Data can be transmitted across devices very quickly with some weather stations. Others have a strong lag time. The updating speed and the quickness of transmission of data matter and are something you will want to consider when buying a device. You will also want to consider how quickly the device can transmit in less than ideal weather conditions, too. The Durability: The overall durability of a device matters. These stations will undoubtedly be out in the elements. However, some construction materials and designs are better suited for fighting against these elements when compared with others. As such, consider the location and the durability of a device before buying and make sure that your device can make it for the long haul. Also, make sure to evaluate how weather and water resistant the device is, too. The Strength of Sensors: Sensors are what provides the information in a weather station. These are the features that, for lack of a better term, sense the weather conditions and report them appropriately to you. The strength and exposure of these sensors matter in how accurate the device is and the information it gives. They are also important to the durability. If sensors are consistently exposed to the elements, they have an increased likelihood of breaking down or being damaged. Further, if they are too shielded, they will not vent well. Therefore, consider the exposure of the sensors before buying and the protectiveness—as well as warranty—with which they come equipped. 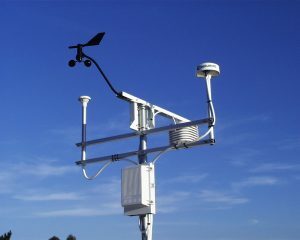 Ease of Installation: Weather stations can be complicated to install. While many options are more advanced—and this explains the difficulty—not everyone wants to spend that amount of time on installation. If installation is something you are concerned about, consider looking for an easy-installation device. If you do select one that is more advanced, consider the cost of having someone else install, which is always an option! The Extras: When buying a device, you are going to want to consider the extra features that are equipped. Consider the light display, the depth of reports, and the overall capabilities of the weather stations. This will help you to identify what it is that you want to pay for and what you don’t and help you to choose a device that meets all of your goals. If you are buying, it is important to understand what you want. It is also important to understand the mistakes that others have made in buying. The following are some of the most common mistakes so to help you not to make them. Over Complication: Depending on what you are using your device for, you may not want a great deal of information. Too much can be a bad thing when it gets muddled. Therefore, if you are using a weather station for common or casual use, be sure that you avoid the overcomplicated options. Lack of Compatibility: If you are in a colder climate, there are weather stations that do not work well. If you are in a climate with lots of rain, there are weather stations that do not do well here. Therefore, consider the compatibility of the conditions and choose a weather unit that is right for that. Too Many Features: It is possible that you can have too many features on a device, especially if you are not going to use them all. These features can raise the price tag and be very rarely used. If you are planning on buying a weather station, consider what you really need and what you are going to use the device for, rather than just having extra features for the features sake. This can help to keep the price down and give you what you need more readily. Spending Too Much: If you are buying a device for personal or home use, you may not want to spend as much as if you are using it for research purposes. Devices range in their cost, therefore, you want to choose one in your budget that meets your needs. Consider what you want, what you need, and what you want to spend rather than going for the flashier and more expensive models. When buying a weather station, you will have many things to consider and many options from which to choose. Rather than spending a ton of money or time on choosing the wrong one, consider the above criteria as a starting point to getting on the right track. Consider the above and you are in a better position to make the right choice for you. Research, use this guide, and have fun shopping!